The chemical compound trinitrotoluene (C7H5N3O6), or most commonly known as TNT, was developed in Germany in 1863 by Joseph Wilbrand. 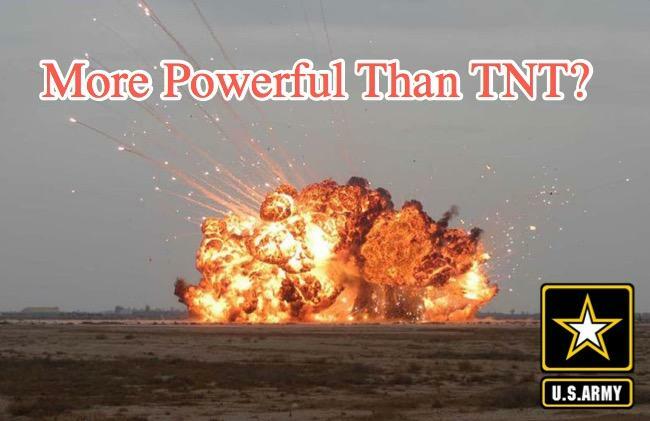 While TNT is not as powerful as dynamite, it is more stable than most explosives. For more than a century, militaries around the world have melted down TNT into shell casings for kinetic energy weapons. TNT is considered the premier mixture of chemicals for creating spectacular explosions, and it is used in the formulation of determining the amount of energy released when a nuclear weapon is detonated, usually expressed as a TNT equivalent. 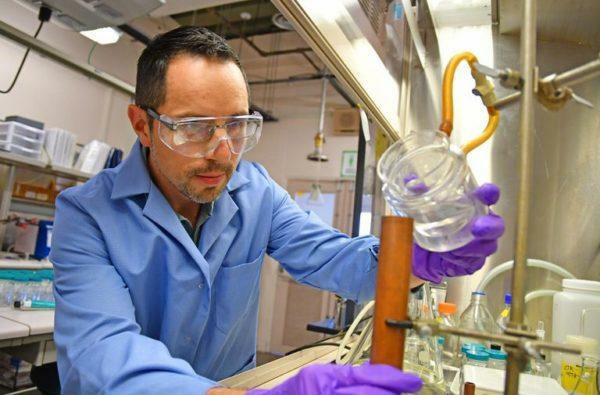 After more than a 100 years of dominance, new research from the Los Alamos National Laboratory and the Army Research Laboratory have discovered a new, more powerful compound, Bis-oxadiazole (C6H4N6O8), which could render TNT obsolete. Chavez told Popular Mechanics that TNT is a blend of the seemingly harmless elements carbon, hydrogen, nitrogen, and oxygen (C7H5N3O6). However, he compares the explosive compounds to gasoline, indicating that rather than extracting oxygen from the air to work as an oxidizer for combustion, like an engine, the explosives have all the ingredients for a powerful explosion within the compound. The report goes on to explain how TNT has a “major advantage” on the production line than other forms of explosives: it is melt-castable, which means the explosive can be shaped into molds and shells to produce bombs. “The place where you see it used most is mortar shells and artillery shells,” said Jesse Sabatini, a synthesis chemist with the Army Research Laboratory (ARL) at Aberdeen Proving Ground, Maryland, told Popular Mechanics. TNT has some significant disadvantages that have led to a “quest to develop new melt-castable explosives,” said Sabatini, between various governmental agencies, including the Department of Energy and the Department of Defense. Sabatini told Popular Mechanics the Army is concerned that TNT and other chemical compounds produce high amounts of pollutants during the manufacturing process. In 2016, ARL synthesized Bis-isoxazole, which proved to be much greener to manufacture and melt-castable, but there was one problem: the new explosive was not as powerful. The scientist at ARL contacted their colleagues at the Los Alamos laboratories to tweak the explosive recipe. 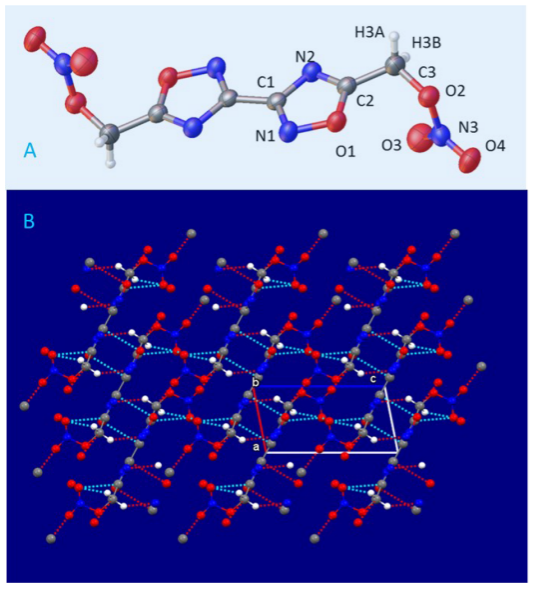 By exchanging a carbon atom for another nitrogen, the Los Alamos scientists were amazed the new tweaked compound produced a much higher explosive yield. 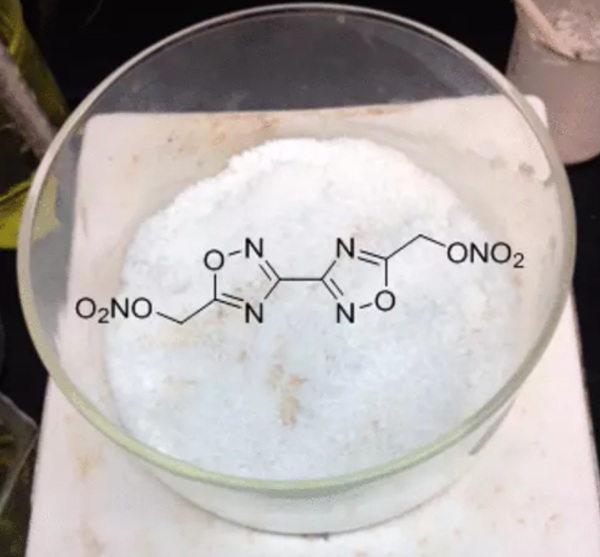 The result, well, the new tweaked chemical compound could replace TNT, is now known as Bis-oxadiazole. “The additional nitrogen adds density to the molecule, and removing carbon helps balance out the oxidizer so all of the fuel can be used up to produce energy in the reaction. And once the researchers had synthesized it in the lab, they realized Bis-oxadiazole has a melting point around that of TNT, making it melt-castable,” said Popular Mechanics. According to the scientist, there are two methods in measuring the energy of an explosion: detonation velocity and detonation pressure. It is believed that Bis-oxadiazole “should have a detonation velocity of around 8.18 km/s and detonation pressure of 29.4 gigapascals, compared to around 7.8 km/s and 26 gigapascals for Composition B,” said Popular Mechanics. Chavez explained the average time from chemical discovery to fielding new explosives takes about 5 to 10 years. However, if the new explosive material is as powerful and green to manufacture as scientist suggest, then the Pentagon could rush to incorporate Bis-oxadiazole on the modern battlefield. “It is a compound that certainly has us excited,” Sabatini said.